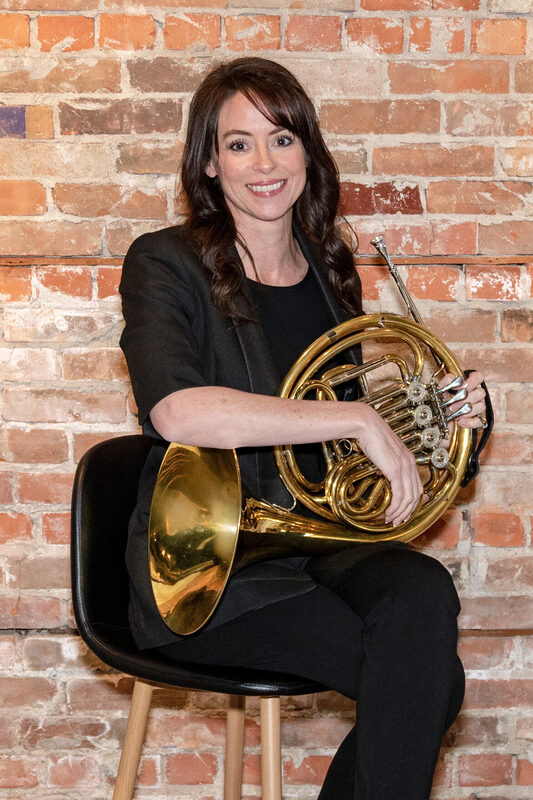 Karly Lewis – French Horn - is the band instructor at a Lethbridge middle school,. Karly has a music degree from the U. of L and an Education degree from U. of C.
She has been a regular member of the LCBS Gold Band since her high school years, and in 2016 joined the horn section in the L.S.O. She has numerous performance credits to her name, including many years with ensembles of the LCBS, the Lethbridge Symphony, many pit bands for musicals and other stage productions. 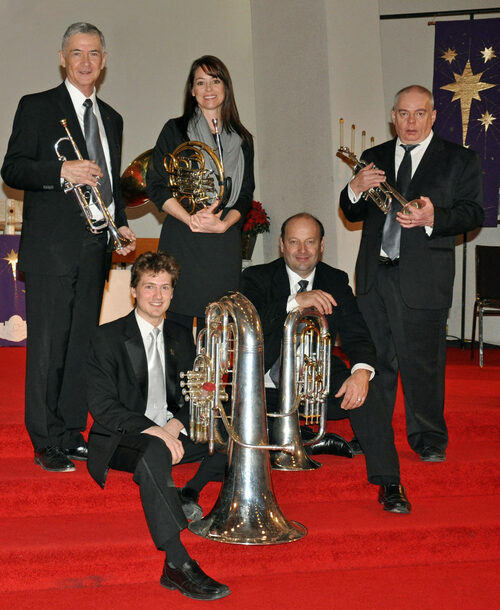 Andrew Manzara – Tuba - Andrew is our awesome tuba player. 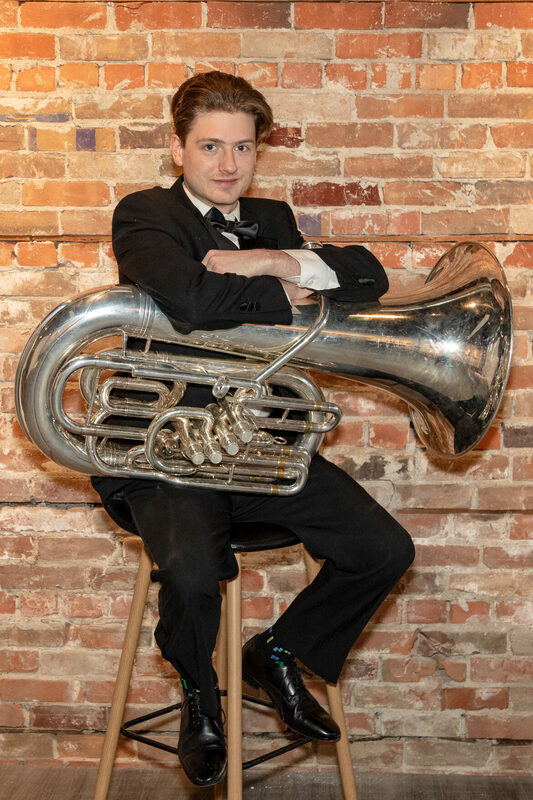 Andrew has completed his studies and practicum as a welder, something he took up after he studied music for some time at the U. of L. He is our youngest member, but make no mistake – he knows how to play that tuba. And the quintet is better for it. In 2012, Andrew was shortlisted and then selected to perform with the Parliament Hill Ceremonial Guard Band, a testament to his talent. 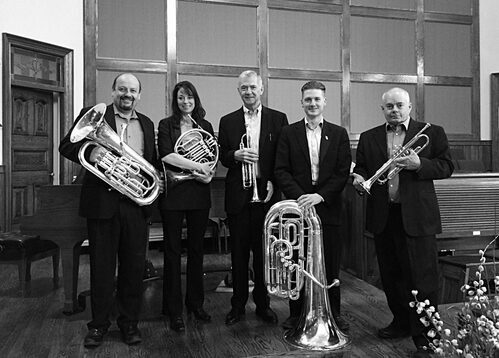 René van de Vendel – Euphonium - René is our euphonium player whose music experience began in his youth in the band world of Holland. He has been with the LCBS almost since its beginning and a driving force in the establishment of the LCBS Tuba Christmas event . That is an event which is now an annual tradition in Lethbridge. He is also a performer with the LCBS Gold Band and the LCBS Brass Choir. René is an area building contractor. 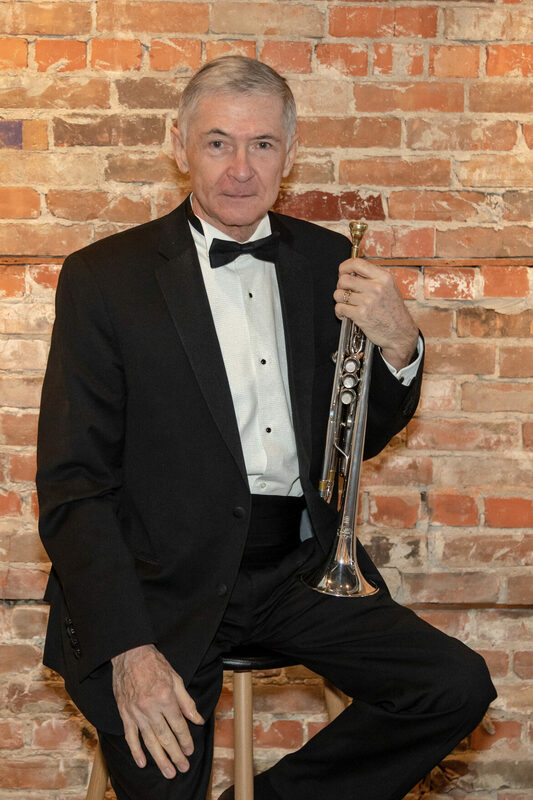 Ken Lewis – Trumpet - Ken is a retired civil litigation lawyer who practiced with Torry Lewis Abells, in Lethbridge for 42 years. Ken is a founding member of the LCBS in 1987, and continues with that concert band. 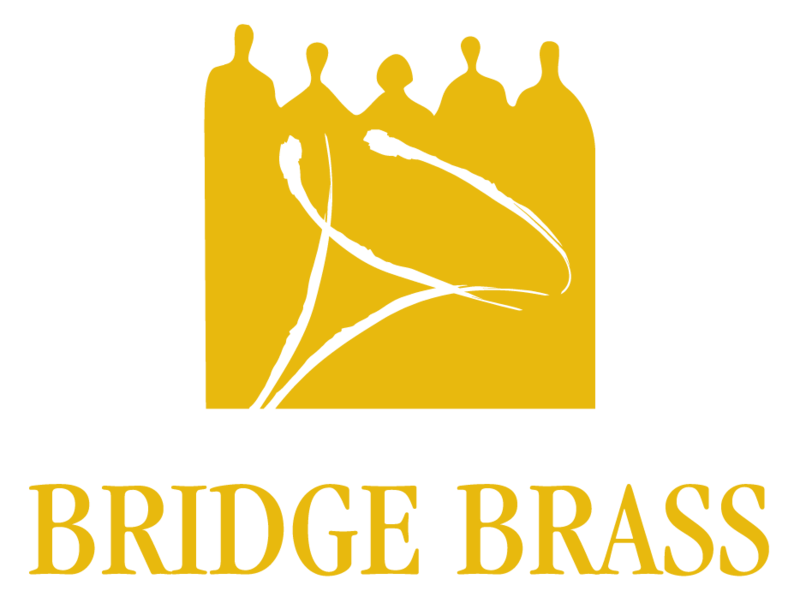 He has played with the LCBS Gold Band since its creation. He has been a regular member of the Lethbridge Big Band for over 25 years. 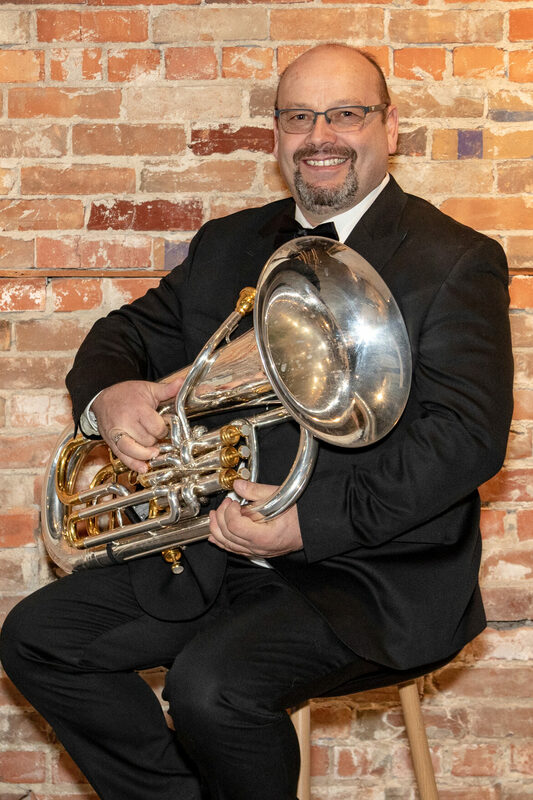 He was an original player the LCBS Brass Choir when it started in 2015 and has played occasionally with the Lethbridge Symphony Orchestra. He has played in the pit for numerous show productions of musicals and several Jazz ensembles as part of the Lethbridge Jazz Festival. Don Robb – Trumpet - Don is a musical fixture in Southern Alberta. Don was educated at the University of Regina where received his Bachelor of Music Education degree. 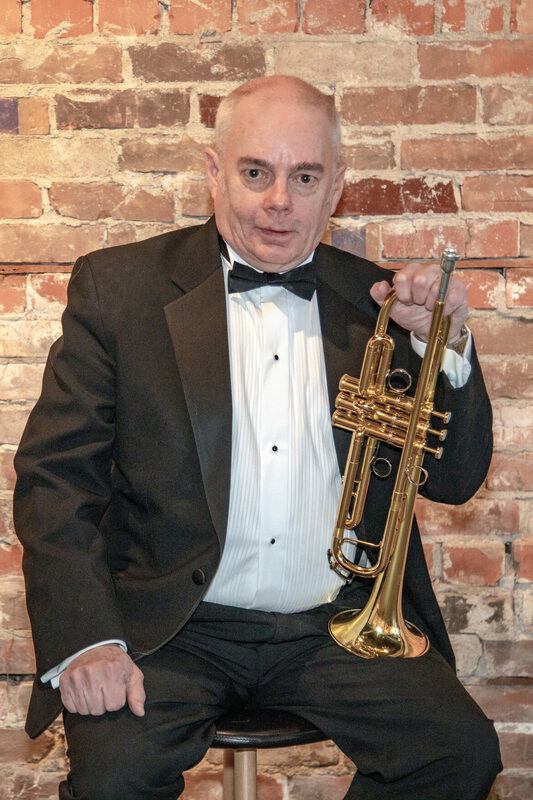 He retired from teaching music in 2010, but since that time has immersed himself even deeper in music endeavors including, Hippodrome, the Lethbridge Jazz Festival, L.S.O., the LCBS Gold Band, the LCBS Brass Choir, the Lethbridge Big Band, and numerous pit band performances. Don is a anywhere and everywhere that music is being performed. 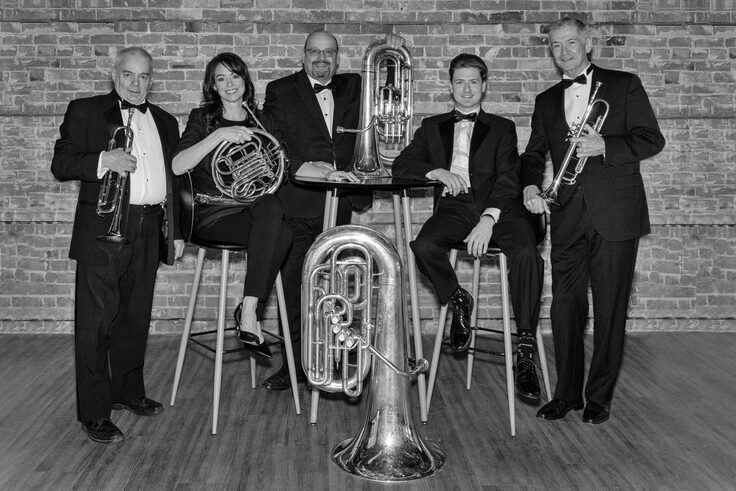 Bridge Brass took a short relaxing break during their performance as guests at the Grand Opening of Pure Spa in December 2018.